In January, the portfolio gained +3,38%. That looks good stand-alone but pretty weak against the +8,1% of my Benchmark (Eurostoxx50 (25%), Eurostoxx small 200 (25%), DAX (30%),MDAX (20%)) for January. With the exception of the very first month when we started the blog, the difference in January always was around +/. 4-5% for that month. The good thing for me as a blogger is that I do not have to care about it. For any institutional investor, this will create a lot of headache, especially if you were already in cash and underperforming last year. Then being down another 4% in the first month is already a good indication that there will be no bonus or even no job anymore this year. Best performers in January were TGS Nopec (+11,0%), Admiral (+9,3%) and Electrica (+7,3%). The weakest positions were Citizens (-5,1%), Cranswick (-4,4%) and NN Group (-2,4%). The second transaction in January was a reduction of the Cranswick position by 50% and the reinvestment of the proceeds into Ashmore and Admiral. Both legs of the transactions turned out good. Cranswick issued a pretty weak trading statement which showed that prices are clearly under pressure. Ashmore on the other hand gained around 20% since the shift. So “win-win” in this case. The current portfolio composition can be found here. “Interest rates are to asset prices is what gravity is to the apple. With low-interest rates there is very little to hold asset prices back on earth”. Well, he made that comment when interest rates were low. Currently however we are already in zero territory and in some cases deeply negative. According to this statistic, 25% of ALL Euro sovereign bonds trade already at negative yield. Mathematically, the issue is the following: As long as a financial instrument has a fixed maturity, you can still calculate a value. However for a financial instrument without a maturity and theoretically perpetual cash flows, the value of such a cash flow stream discounted at 0% is unlimited. The same goes for an instrument which for some reason has significant positive growth prospects. If you look at the simple Gordon growth formula (Value = next year Earning/(Discount rate -growth rate), you pretty soon get nonsense amounts if the discount rate gets lower and lower. So what should an investor do in such a situation ? Well first of all a personal advise from my side what not to do: Don’t try to speculate when and if interest rates will rise. For some reasons, many people feel much more confident in predicting interest rates than anything else. The problem with this is as always with predictions: They are wort exactly nothing. I still remember being part of a heated discussion in 1998, when the majority opinion was that for the 10 year Bund anything below 4% would be “unnatural and unsustainable”. Then, a 2-3 years ago the very same people were saying “At least, interest rates cannot go negative”. The much more value creating activity in my opinion for any investor would be to think in “what if” scenarios. You should look at your portfolio and ask yourself: What if interest rates stay permanently low (or at leastfor 5 more years) ? What if interest rates go back up to 2%, 3% or even 5% annually ? If you own a traditional life insurance company which will go out of business if interest rates remain low for another 10 years, you should be aware that you are actively betting on rising interest rates. If you own highly leveraged companies which show one time interest coverage under current interest rates, you should be aware that implicitly you are betting on interest rates not rising. Overall, if you don’t have an active opinion on interest rates (which in my opinion you shouldn’t), one should make sure that the overall exposure of the portfolio is as neutral as possible with regard to interest rates. This sounds easier than it actually is. For some companies (insurers) it is relatively easy to see how their exposure is to interest rates. For others, it is much harder. But in my opinion, just checking business models against the influence of interest rates is a very worthwhile and value creating exercise. Another thought: Shorting companies based on valuation is never a really good idea but it is especially risky right now. In the absence of general economic growth and with the “Zero gravity” of low discount rates, the few “true” growth stocks could become very very expensive. I would not want to bet on those companies to rise into the stratosphere, but I wouldn’t bet against them either. The most significant adverse effects of long-term weightlessness are muscle atrophy and deterioration of the skeleton (spaceflight osteopenia). Other significant effects include a slowing of cardiovascular system functions, decreased production of red blood cells, balance disorders, and a weakening of the immune system. Lesser symptoms include fluid redistribution (causing the “moon-face” appearance typical in pictures of astronauts experiencing weightlessness), loss of body mass, nasal congestion, sleep disturbance, and excess flatulence. I cannot prove it scientifically, but I do think the “Zero gravity” environment will cause similar damage to the financial system if it stays for too long. Some rather obvious appearances are lower underwriting standards for bank loans (LTVs based on inflated real estate values) or higher levels of margin debt. Less obvious issues are in my opinion that the overall capital allocation function of the capital market is getting impaired and overall long term growth for the economy will suffer. 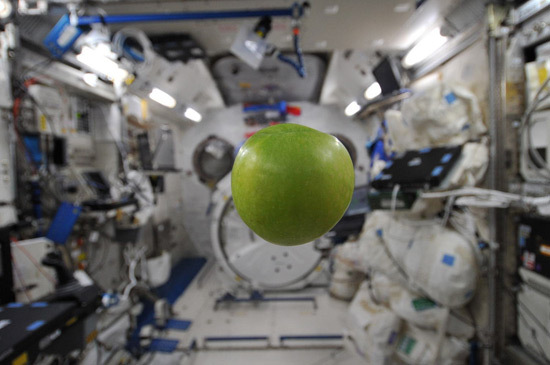 How long this wil persist and how this will look if gravity returns is another topic. But again, in my opinion this is rather an argument to move forward carefully and stick to the principles of bottom-upp value investing. Fabian, thanks that is one of the more specific “versions” of this topic. As usual, very interesting topic. Fundamentals must be the compass under this distorted scenario. Nevertheless, one territory that I am recently exploring as a back up for the equity portfolio is shorting the 10 yr Bund. Long-term financing at 0.3% (or even zero) is a stupid thing that -sooner or later- will explode. A different story is when, and for that reason rolling over the short position must be performed on an ongoing basis. But here, again, patience is your ally. don’t forget: If we go into Swiss territory (10 year -0,10%), you will still loose ~4% with this bet. Nevertheless, good luck with that trade. I like your comparison to astronauts and the impact on the human Body. superb!